Flexible Intermediate Bulk Container (FIBC), which is also called the flexible container bag and widely known as “Big bag” is a packing material of industrial bags that produced by woven strong fabrics of PP (polyethylene) and PE (polypropylene) yarn. FIBC are mainly used for packing, transportation and storage of powdered and clumpy materials such as grain, coal, earth and sand, and cement, etc. Standard FIBC can pack materials with a weight of approximately one metric ton. 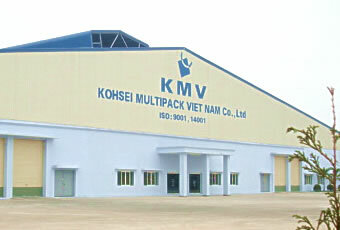 Kohsei is manufacturing FIBC at its factories in Vietnam, Philippines, Japan, and South Korea. We offer the size customized FIBC at reasonable cost and continuous production of FIBC from the raw material (PP resin) to completion at our Vietnamese factory. 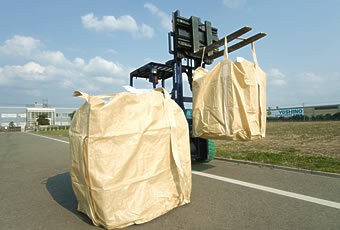 We can produce 100,000 bags per month with a quick delivery system.